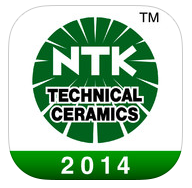 We represent NTK in California and Nevada. They are a leading manufacturer of Swiss style tooling and precision carbide insert systems headquartered in Wixom, MI. NTK Cutting Tools USA is a division of NTK Technical Ceramics who are part of the mighty NGK Spark Plugs Corporation of Japan. Their long history and experience in ceramics materials technology has made them a world leader able to deliver quality and value to their customers. Ceramics have always been the core of their business which has led through painstaking research of other materials to the development of new types of cutting tools to meet metalworking applications. 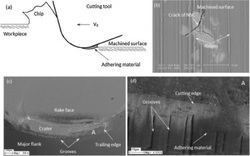 One of their latest developments is PolyCrystalline Diamond (PCD) which brings a new and cost-effective dimension to high speed cutting of aluminium alloy materials. NTK products address the issues of ecology and environmental protection. Their production facilities consistently strive to reduce pollution from their processes & recycling is a high priority. NTK will do its part to ensure that future generations inherit our values of ecological preservation. "Ceramic tools are based primarily on alumina (Al2O3) and silicon nitride (Si3N4) compounds and are available in a variety of grades that include ceramics mixed with other materials and reinforcing whisker materials that make them harder."